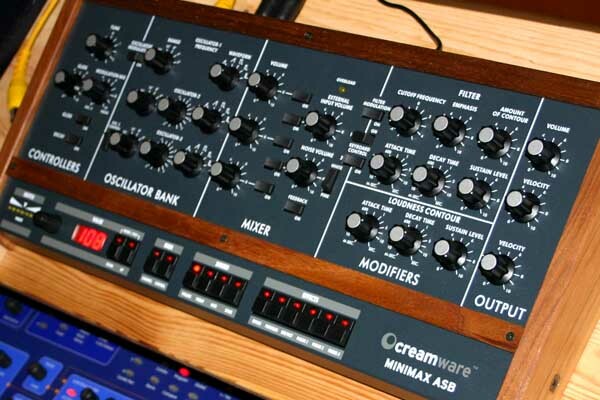 A few days ago I received one of the cute little MiniMax ASB virtual analogue synthesizers from Creamware. Nice sounding synthesizer, very solid build quality, a rather convincing emulation of the MiniMoog. All sounds except drums from the MiniMax, yo. Seventies style again. All sounds from the MiniMax.